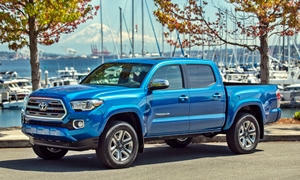 "ToyotaMotor North America is recalling about 228,000 2016 and 2017 ToyotaTacomamidsize pickups in the U.S. because their rear differentials may leak oil...Differentials leaking oil could become damaged and stop working, causing a loss of vehicle control..."
Both of these trucks have their own unique compromises?some we can live with and some we'd rather not. 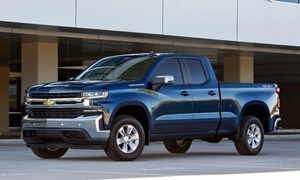 No matter how you equip either the Colorado or Tacoma, their rides are still stiff and choppy compared with full-sized trucks and the Ridgeline?which are also quieter. Having to choose between these two, we think the Colorado is the better choice for day-to-day livability." I think the full size trucks are the better deal if you need options or a V8 as they can pricey quick. @mkaresh I think there is a problem with the website. When you click on the "My Next Car" button, it takes you to the list of threads. I can see the description of what the member wants on that page as well as the correct title. I can't see it when I click on the thread. I only see the priorities, seat count, budget, and new or used cars. The title also says "Right Car for Me," not the user-made title. FYI, it makes it hard to recommend a car when we can only see the first couple lines of the description in the thread list. I've tried different browsers and restarting my Mac, but it didn't help. All I could see for this post is "Is the Chevy Colorado a reliable vehicle? I drive about 30000 miles a year and have owned several Toyotas which have been rock-solid. 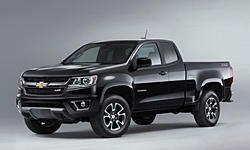 I love the new Colorado but am scared it will not be reliable?.Thoughts" It stopped there. I'm on the fence between the Colorado and the Tacoma. Neither of them are comfortable, but the Colorado has a nicer interior and infotainment system. They both have recalls, which don't matter because they are free and new ones have the recall fix performed already. 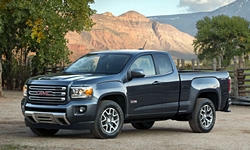 The Colorado has 5 recalls. The Tacoma has 3 and 1 accessory recall. I would take the Tacoma over the Colorado because of Toyota's great reputation of reliability. The Tacoma had some first-year reliability problems such as the blind spot monitoring malfunctioning, harsh shifting,and some squeaks and rattles. I prefer Toyota's reliability because the Tacoma has a long history of being reliable, while the previous Colorado before 2015 was horrible in terms of reliability and overall driving (the new Colorado is much better). The problem with the Tacoma's transmission is rough shifting and when it's cold outside it takes a couple seconds to shift into drive. People have reported that a software update fixes the issues. I haven't heard of any transmission failures though. The Colorado has had many problems, more so than the Tacoma, including transmission and suspension problems and squeaks and rattles.Owners have complained many times that when slowing down the transmission does not downshift at all. It makes it feel as if the truck is chugging, lurching, and breaking down. There have been some reports of the engine stalling because of this as well as a few transmission failures. 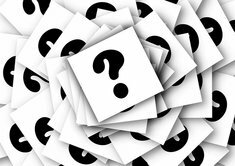 Many reports from the 2015 and some for the 2016. I got all the reliability info from TrueDelta, CR, and carcomplaints.com. So the reliability differences are pretty big. Tacoma has a few problems, no failures, but software updates fix almost all of them. Chevy still hasn't come out with a fix as of July 2017 for its problems, so owners are unhappy. 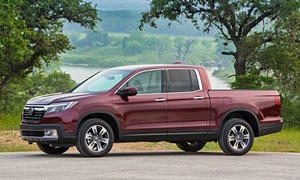 If you don't need to tow more than 5,000 lbs, take the Honda Ridgeline. It's a MUCH better luxurious truck that is easy to live with daily. It should be working now. Thanks for letting me know.